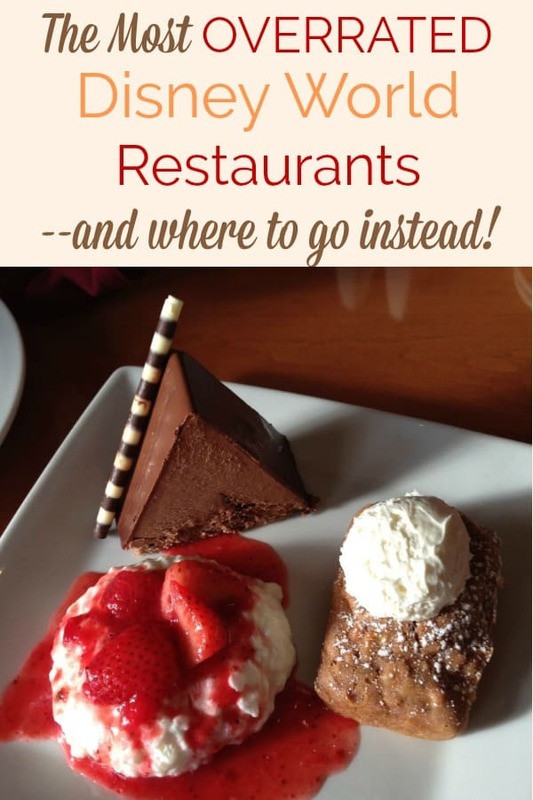 A big part of planning your Disney vacation is choosing the best places to eat. But which restaurants are really the best — and which are mostly just hype? 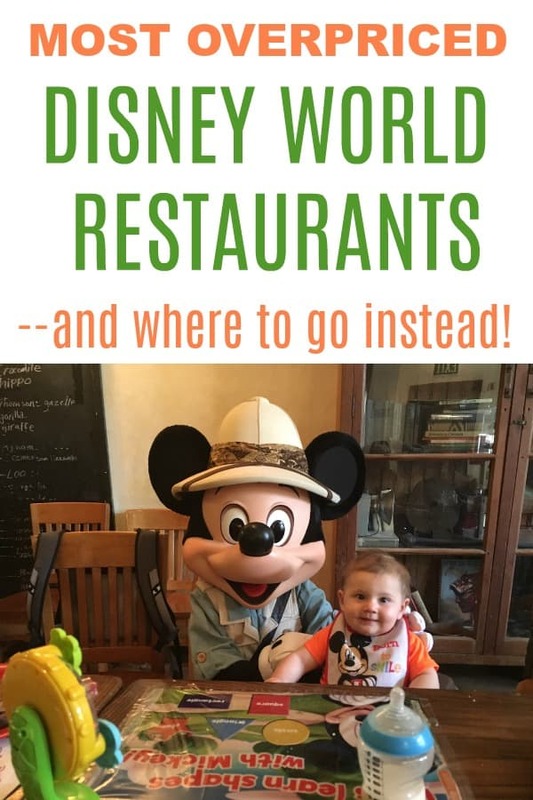 For as much as it costs to eat at Disney World — and even if you’re getting the free dining plan, there is still a cost involved — you don’t want to waste time or money eating somewhere that’s overrated and overpriced. Here come the Disney bloggers to the rescue! I asked 27 Disney bloggers to weigh in with what they thought was the most overrated restaurant at Disney World — and more importantly, where they suggest you eat instead. 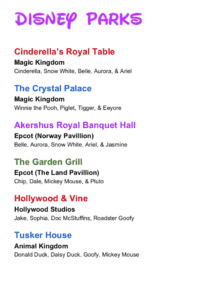 0.0.1 See ALL Disney character dining options at a glance! 29.0.1 See ALL Disney character dining options at a glance! See ALL Disney character dining options at a glance! 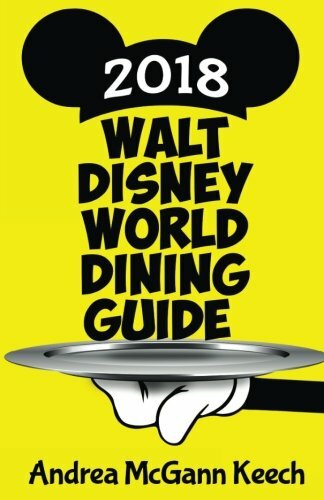 Get a list of ALL Disney World character restaurants, their location, and which characters you’ll meet — all in one convenient, two-page printout! Please send me my cheat sheet! I want to make sure that we are making a distinction between “overrated” and “bad“. 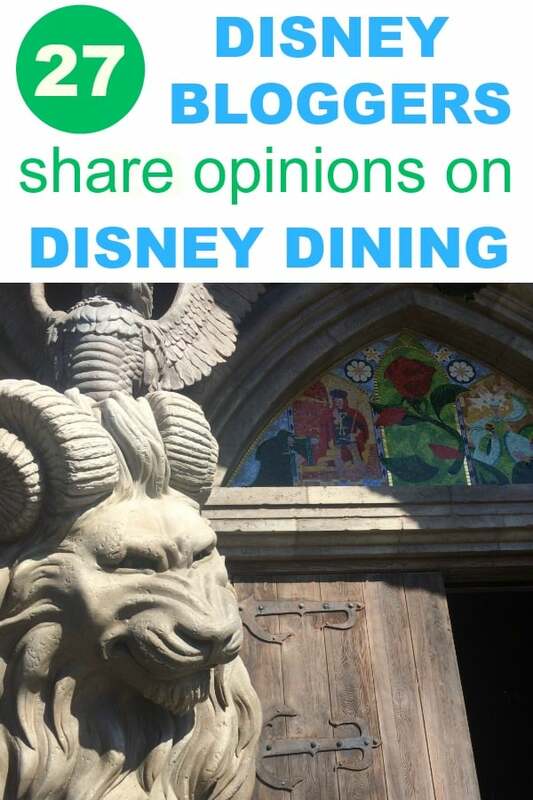 Frankly, most of the more popular dining locations at WDW are “overrated” in my opinion, meaning that they may be fine, or good even, but simply not worth the hassle and price to dine there. Foremost among these is Be Our Guest in Fantasyland at the Magic Kingdom. It is a well-themed space and serves generally adequate (though not much beyond that) food. However, reservations disappear almost immediately, lines are long, and the majority of the physical space is cavernous and feels akin to eating in a huge institutional cafeteria. If this were a location where you could simply walk in, grab a quick bite and take off it would be great. But until that day comes, it is not worth the hassle. There are many restaurants in World Showcase at Epcot that feature similar levels of detailed theming, better food, and many fewer issues obtaining reservations. However I would recommend Satu’li Canteen in the Pandora section of Animal Kingdom. No reservations needed and surprisingly interesting food (Mediterranean inspired grilled meats and vegetables). While at Animal Kingdom, Flame Tree BBQ is one of my favorite places anywhere at Walt Disney World. They have a solid BBQ sandwich and an amazingly good smoked turkey sandwich. It has outdoor seating, and the views across the lake to Expedition Everest are unbeatable — and far more spectacular than anything Be our Guest can offer. Jiko The Cooking Place in Animal Kingdom Lodge always ends up on Top 5 lists for WDW, but for me, it’s like the Star Trek movies: Every other time is good. I’ve had GREAT meals at Jiko, and then I’d go back a year later and it was like TGIFridays. Then I’d give it another shot and it’d be great again. Then terrible. It’s a vicious cycle. I have no idea if it’s just turnover in the kitchen staff, poor meal selections by me, or more likely, just a real hit-or-miss overrated restaurant. The place I’d recommend instead is the obvious choice — Boma – Flavors of Africa. It’s much less formal than Jiko, but gives you that “Taste of Africa,” and the theming is similarly top notch. I’d also recommend California Grill in Disney’s Contemporary Resort, which feels like the sort of upscale dining that Jiko aspires to, but does it much better. I would also have to concur with Ted that Flametree BBQ is a solid recommendation for just about anyone. Their smoked turkey sandwich was a phenomenal power-up meal for at least one of our WDW49 Challenge runs. I think Cinderella’s Royal Table is just not worth the cost (or two credits on the Dining Plan), especially when compared to Akershus Royal Banquet Hall in the Norway Pavilion in Epcot’s World Showcase. Akershus requires only one table service credit on the Disney Dining Plan, and with that, you get better character interaction and better food (in my experience) than at Cindy’s. 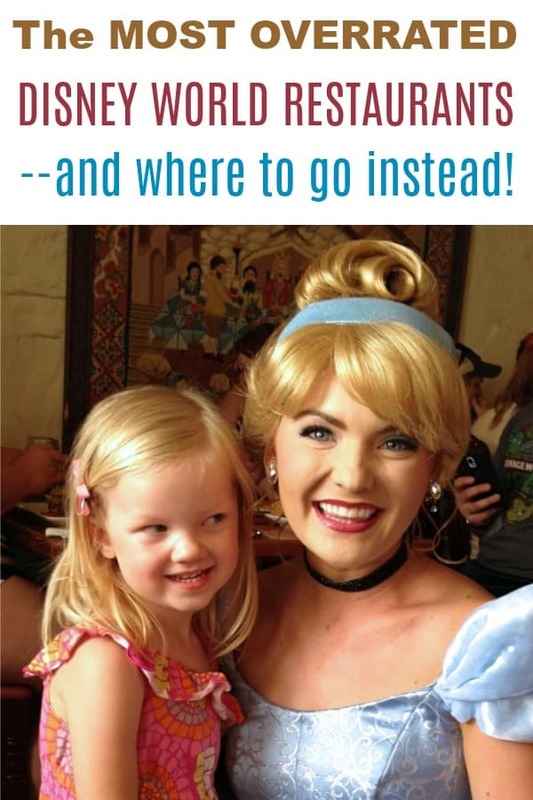 The princesses spent more time with us at Akershus, the kids get to participate in a “princess processional”, and there is SO MUCH good food to try there – an appetizer buffet, entree, and dessert plate to share at the table. The out of pocket adult cost can be up to $80 to eat in Cinderella Castle (compared to $50 at Akershus) and to me, it’s just not worth it. I think the most overrated restaurant is Hoop-Dee-Doo Musical Revue, a dinner theater restaurant located in at The Fort Wilderness Resort and Campsites. This restaurant is well known for it’s relatively good food, and slapstick dinner show. Hoop-Dee-Doo is a beloved place by many to have a meal on Disney property. It is expensive: a meal here cost between $64 and $72 for an adult, and $38-$43 for children 3-9, or two credits when on the Disney dining plan. Hoop-Dee-Doo is also not a show for everyone, and it tends to be hit or miss with it’s hokey humor. It is not for you if you do not like corny jokes, and audience participation. The food is all-you-care-to-enjoy American bbq fare such as fried chicken, pork ribs, mashed potatoes, and corn bread. Of course with a restaurant like this you are not really paying for the food, but more the experience. 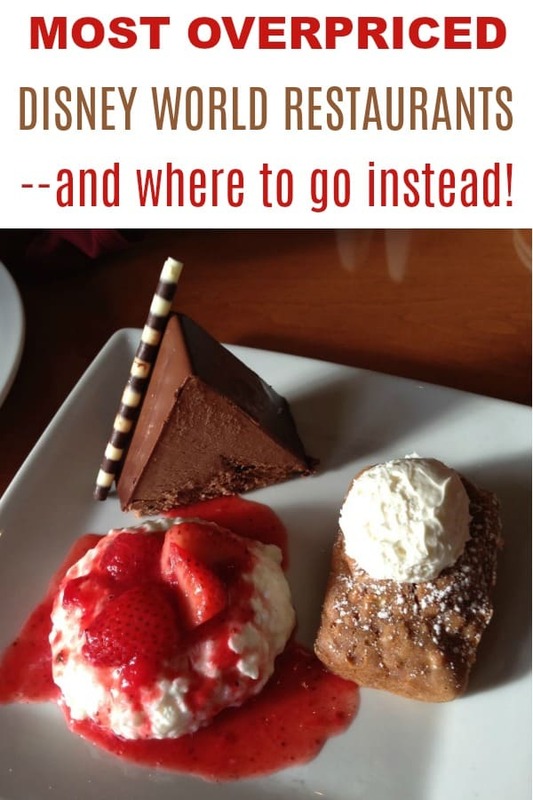 If that does not sound fun for you; you will want to skip out and instead check out Trails End, an under-appreciated gem of a restaurant also located at Fort Wilderness. Trails end is the perfect place to go instead of Hoop-Dee-Doo if you are not interested in eating at a dinner show. It is also very easy to get a ADR here as it is a bit out of the way. Trails End and Hoop-Dee-Doo share a kitchen and the food is the same in both restaurants. However, Trails End is a buffet and has a bigger selection. This is also the cheapest buffet on Disney World property, coming in at around $30 for adults, and $17 for children. Trails End is one of the best spots in Disney to eat without all the noise, enjoy a big selection of delicious food (seriously the fried chicken, and ribs are amazing), and pay less for it than anywhere else. I think Minnie’s Seasonal Dine at Hollywood and Vine is the most overrated restaurant we have tried. Whilst the buffet choice looks extensive a lot of it is repeated. There didn’t appear to be anything on the menu that we could find in all of the other buffet restaurants. The characters were fun to meet, but again they are all widely available to meet elsewhere. I would suggest Tusker House as an alternative as the buffet has some amazing flavours and varieties of food. It provides a wider choice of buffet choices with food items you won’t see everywhere else. There’s also the infamous jungle juice which is well worth trying. My most overrated WDW restaurant has to be Nine Dragons Restaurant in the China Pavilion at Epcot. I know its a favorite of many, but I thought the food was mediocre at best. Some things were good, but most of it was “meh.” I really expected a lot more since even friends of mine rave about this place, but the service was only okay and I’ve tasted better in our hometown. Now, if you want really amazing Asian food, Morimoto Asia in Disney Springs is in a class by itself. Serving classic Asian fusion dishes created by Iron Chef Masuharu Moritmoto, it is an exhilarating journey for your taste buds! And if you’re lucky, you’ll even meet the master chef himself! Okay, this is a question took some careful consideration, as there is one that immediately came to mind. To be fair to all those reading this, I feel I have to be totally honest. Yes, I am prepared for the boos and hisses that may result. This may not be a popular answer. My answer to this question is Victoria and Albert’s. in Disney’s Grand Floridian Resort. Why? The wording said “overrated” and I think Victoria and Albert’s is very, very, good; however, it is, in my humble opinion, somewhat overrated. When I first tried it, I was expecting fireworks in my mouth. Wine pairings that were so perfect they made the food come alive in my mouth. Don’t get me wrong, it was great. But I didn’t leave thinking, “That was the best meal I have had in months,” like I had hoped to. I left thinking, “that’s an excellent Disney restaurant.” Maybe it’s my expectations that were unrealistic. To any I have upset, let’s go with that. 3) Narcoossee’s at the Grand Floridian. I actually have a couple that come to mind. First, Tony’s Town Square Restaurant in the Magic Kingdom. I don’t hear as much ‘hype’ about this restaurant as others…but there are better options, in my opinion. I would recommend Trattoria al Forno over at the Boardwalk instead. My second choice is Be Our Guest, also in the Magic Kingdom. Blasphemous and controversial, possibly. There is no doubt that it is well-themed and I do think it’s worth checking out for the theming alone…especially if you love Beauty and the Beast. And, in full disclosure, I have actually never had dinner there. I am judging this solely on breakfast (which, if you just want to get inside, reserving breakfast is one of your cheapest options…option 2 would be reserving for dessert-only). But, the food was mediocre and overpriced… in fact, my eggs were a bit cold when they got to me and we paid almost $30 to split a breakfast. Service took a long time in the morning, despite the fact that it wasn’t super packed. Plus, the bathroom was actually really gross. We know how Disney is about cleanliness, so I have somewhat chalked it up as an ‘off-day’ and may give it another chance…but just know that you go for the castle…not the food. 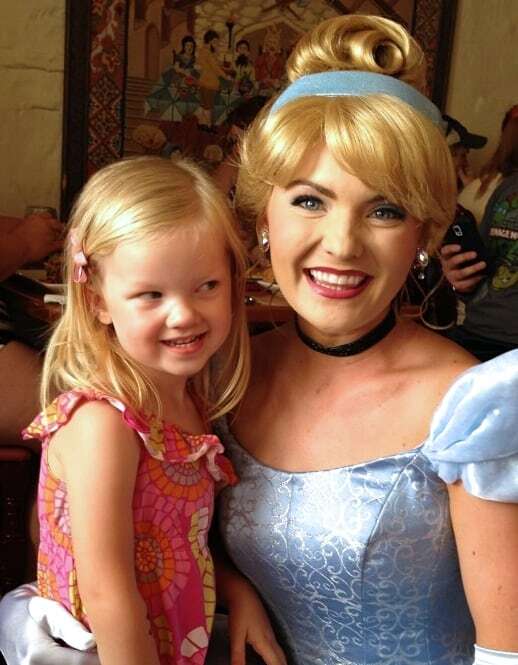 I don’t think there is a comparable alternative necessarily if someone is a fan of Belle. Cinderella’s Royal Table is obviously the other castle-experience dining in the Magic Kingdom, although I think 1900 Park Fare at Disney’s Grand FLoridian Resort is a great experience outside of the parks. I just think it’s important that if someone wants to get into Beast’s Castle, maybe they consider ordering dinner elsewhere and making a reservation later in the evening and just ordering dessert. This may sound like sheer lunacy, but the most overrated restaurant at Disney World is Be Our Guest in the Magic Kindgom. It’s the hardest reservation to get, but it wouldn’t make our Top 10 Disney dining list. There’s no doubt the ambiance is amazing. It’s worth eating there once to watch the snow fall through the windows in the Grand Ballroom or seeing the rose in the West Wing. 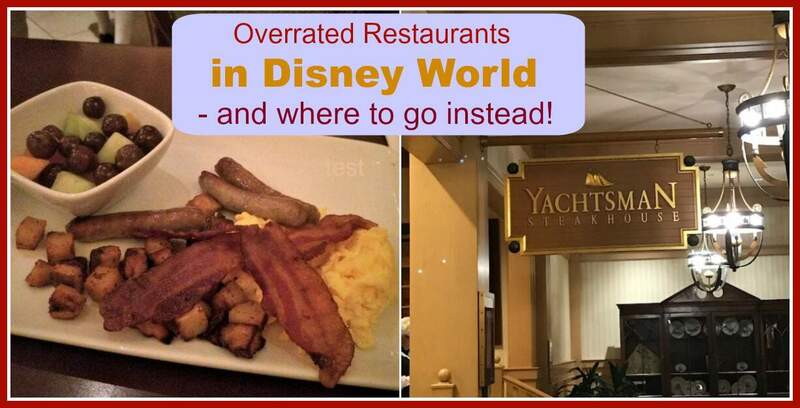 I think one of the most OVERRATED restaurants in Disney World is Chef Mickey’s at Disney’s Contemporary Resort! I understand that it’s a chance to eat with very popular characters, but there really isn’t anything special about the food or the restaurant itself. Our go-to favorite restaurant is the Tusker House Restaurant at Disney’s Animal Kingdom! You can see many of the main characters (Donald Duck is #1 here) and the food is great! They have all the regular food items, but they also offer foods with African flavor! It’s a unique dining experience and feels a little more intimate compared to Chef Mickey’s. If you haven’t tried Tusker House yet, it’s a must for your next trip! In my opinion, Chef Mickey’s is an overrated WDW restaurant because it can feel very chaotic and rushed. I feel like the characters don’t have a lot of room to move around in, and therefore visits are very succinct. The buffet layout also doesn’t flow well. One of my favorite character dinings is breakfast at Ohana at the Polynesian. 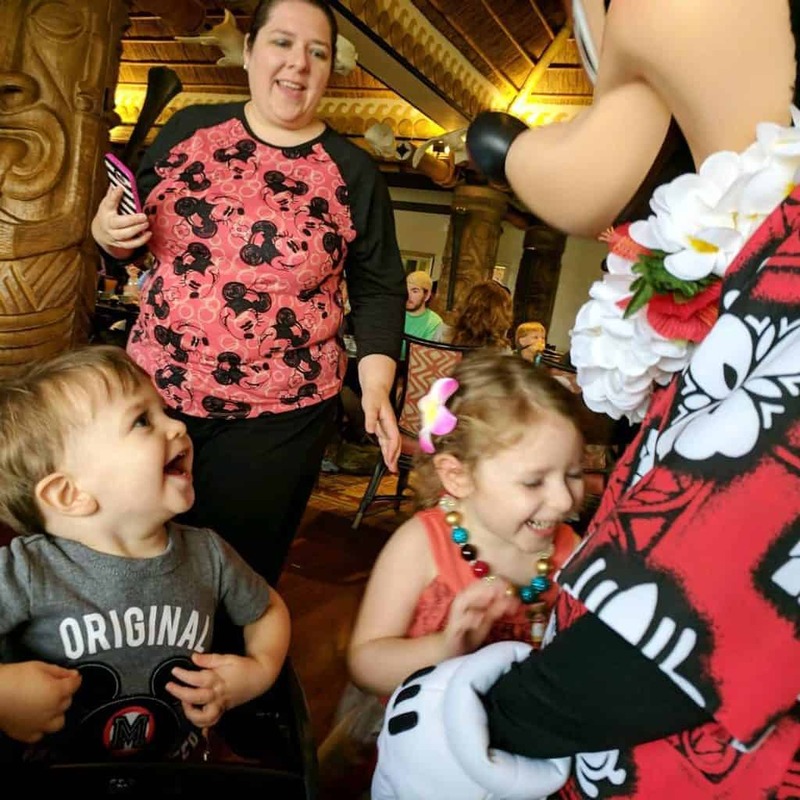 In addition to a fantastic family-style breakfast, the characters spend more time with you and interact with the kids through a parade through the restaurant as well. You’re not afraid of missing a character because you’re up at a buffet getting food. Plus the POG juice (passion fruit, orange, and guava juices) is a fave for kids and adults. We also like to stop by the front desk before our reservation to get free leis for the kids to put them in the aloha spirit. The most overrated restaurant at Walt Disney World is Be Our Guest. 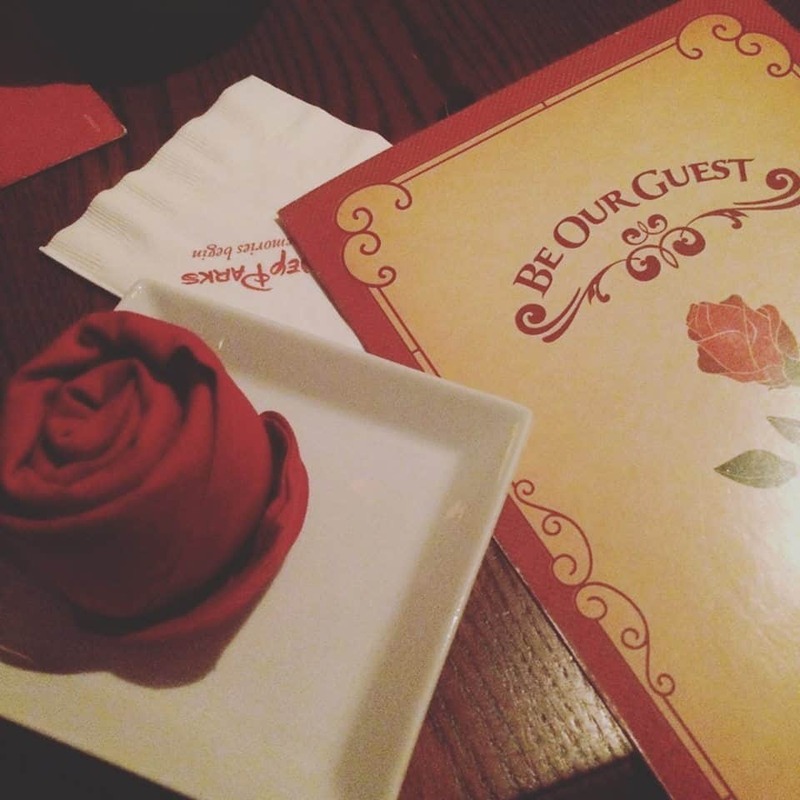 Tables are rushed, food is mediocre, reservations are impossible and you’re only dining at Be Our Guest for the atmosphere. As a substitute, I recommend Cinderella’s Royal Table, also at the Magic Kingdom. While reservations are just as difficult to score, try to grab an early morning breakfast spot so your family can get park photos before the crowds. Plus, you’ll experience more characters and enjoy the atmosphere too. In my opinion, Via Napoli Ristorante e Pizzeria in Epcot’s World Showcase is one of the most overrated restaurants at Disney! As a born and bred New Yorker, I am a pizza snob. I realize that Italian style pizza is different from New York style, but when the price of a pizza pie is over $20 it better be amazing! Although there are other food options and the massive stone pizza ovens are beautiful, I prefer Tutto Italia Ristorante, also in Epcot. This restaurant falls in the same price point and never disappoints. It is equally as beautiful and the food is amazing! 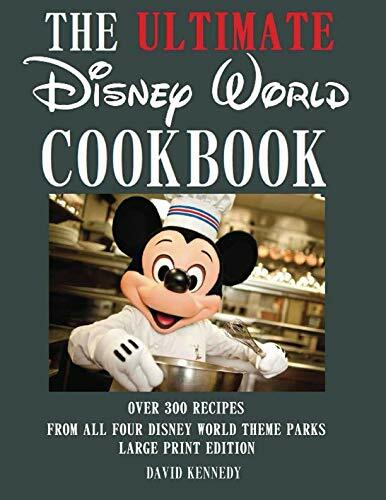 The most overrated restaurant is Chef Mickey’s at Disney’s Contemporary Resort. I’m a foodie, and the food and atmosphere aren’t enjoyable when there are other great character meals that are better quality and value. The Four Seasons breakfast offers lots of time with the characters dressed in chic resort wear and an excellent brunch buffet food. It’s a great way to start a pool day or the last day of a Disney vacation. In addition to The Four Seasons breakfast, The Tusker House buffet in Animal Kingdom is another way to meet Mickey while enjoying much better food, though the restaurant gets quite crowded. I say Cinderella’s Royal Table at Magic Kingdom. Many may disagree, but the cost versus the quality of food leaves me wanting something else – and that something else is Akershus Royal Banquet Hall at Epcot. You’ll still see the Disney Princesses and the food is so delish! I think the San Angel Inn, located inside of EPCOT’s Mexico Pavilion (with a view of the Gran Fiesta Tour boat attraction), is one of the most overrated dining reservations in Walt Disney World! Instead, I *much* prefer the food quality and service across the street at La Hacienda de San Angel! The food is fresh, the margaritas are excellent, and if you time it right you can get a beautiful view of Illuminations! The Tiffins dinner/show package is an excellent value, while Jiko’s prices remain insanely high but the quality of food and service seems to have slipped over the last several months. I think the most overrated restaurant at Walt Disney World is Be Our Guest restaurant. Although I do love this restaurant, I don’t think it deserves the hype and booking 6 months out. The atmosphere inside is beautiful, but the food isn’t my favorite. I do love the gray stuff though! Sticking with Magic Kingdom, I’d suggest Jungle Skipper Canteen. I think this restaurant is underrated. The atmosphere is awesome (I’m a huge fan of Adventureland) and the food is adventurous. They’ve changed up their menu a few times and I think it has gotten much better. At first, I was skeptical, but now I really like the fresh fish and falafel appetizer. As a bonus restaurant, one of my favorites is Via Napoli at Epcot. The pizza is superb! I love a themed restaurant. Not just themed but extra themed. I want waiters in costumes, a rainforest decor and fancy drink glasses that light up and make sounds. The bigger the better. I’ll lose my mind if at some point the guests participate in napkin waving, song singing or dancing. Okay, I think you get my point. I want the extra. With that be said, T-REX Cafe in Disney Springs is a restaurant I probably won’t eat at again. It technically has all my requirements but comes out way flat. Yes, there are dinosaurs and the theming is cool. But, the food is decent at best and way too expensive. I just think it’s overrated. The long lines and it’s hard-to-get reservation reputation make it seem so much better than it is. In my opinion, it’s not worth the crazy wait or the prices. Some people love it, but I think there are way better options. So do you want overly themed but good food? Try 50s Prime Time Cafe or Sci-Fi Dine-In Theater Restaurant in Disney’s Hollywood Studios. They don’t have dinosaurs but you can’t help but get wrapped up in their theming. They are so much fun! Unless your family is Dinosaur obsessed, I say skip T-REX and try somewhere else. You don’t want an “okay” meal on your vacation. You want a “Holy cow, that was the coolest!” kind of meal. It’s Disney, soak up all the theming you can get! 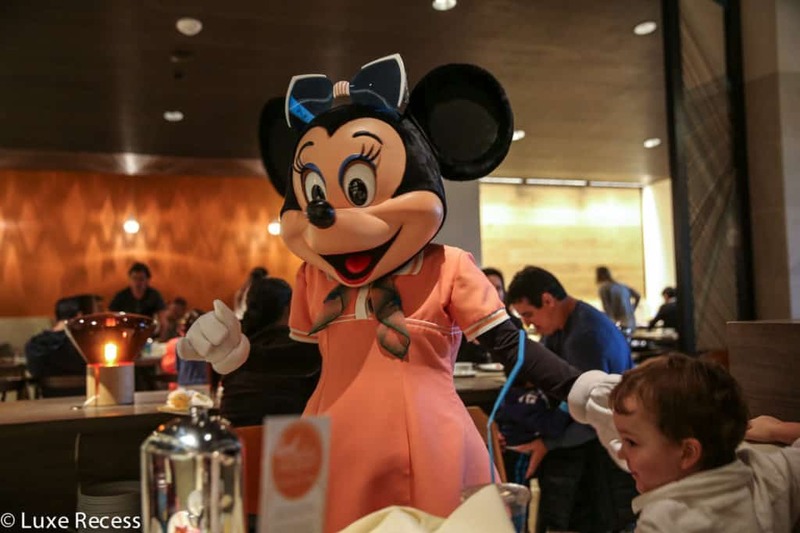 While Chef Mickey’s inside Disney’s Contemporary Resort is a must have (and hard to get) reservation for many families visiting Walt Disney World, I happen to think it’s likely the most overrated character dining option. 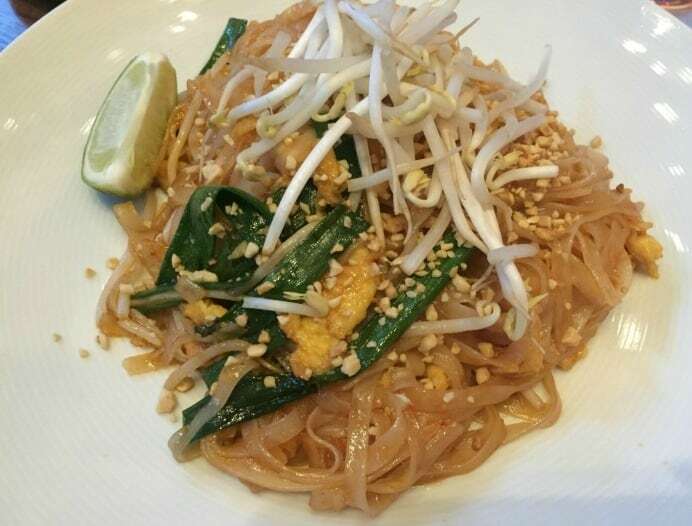 The food is ok, but the overall experience leaves a lot to be desired. The Contemporary is a unique space with monorails whizzing overhead, but Chef Mickey’s crowdedness and noise levels can be a bit overwhelming for the little ones. Characters certainly find time to snap photos and meet with kids, but in our experience, there are much better options if you want an eat & greet with members of The Fab 5. Instead of Chef Mickey’s, I always suggest travelers try out Tusker House inside Disney’s Animal Kingdom. For starters, the food is different than your standard Disney buffet. With spit roasted meats and tasty sides, Tusker House gets high marks in the culinary department. But don’t worry, there’s still classic buffet items for the kids (or picky eaters) like corn dog nuggets, mac and cheese, etc. 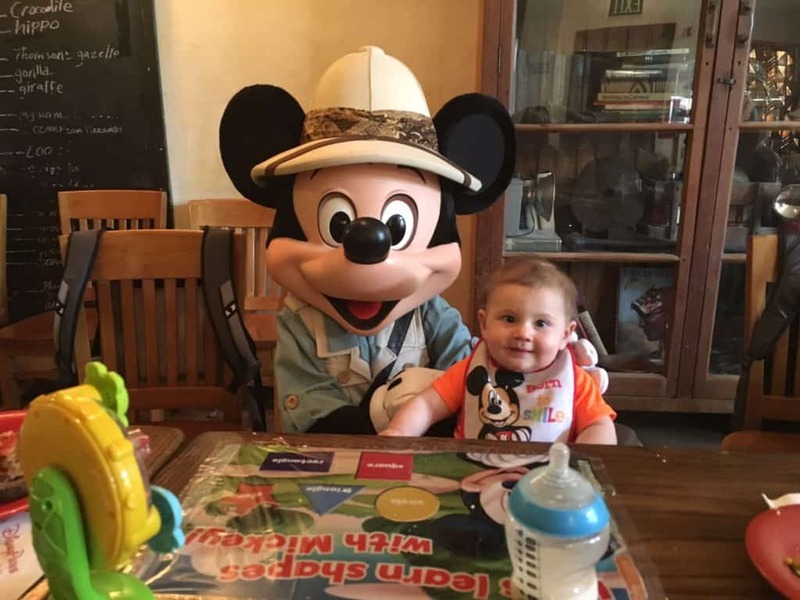 Tusker House offers a low key character dining option with the opportunity to spend more time interacting with characters. During our last visit, Donald, Mickey, Daisy, & Goofy visited with the kids multiple times, even inviting them to participate in a jungle conga line! Who doesn’t love a good conga line?? One last added bonus is that you’re inside one my favorite parks, meaning attractions like Kilimanjaro Safari’s & Flight of Passage are right around the corner. Dinner at Chef Mickey’s is the most over-rated dining at Disney World. The character interaction is great, but the food is so-so, the setting noisy and uninteresting, and the price is high. To meet Mickey at a meal, I’d recommend lunch at the Tusker House in Animal Kingdom instead. As far as dining in the park, I don’t really think you can go wrong. As a foodie, I’m always happy with the restaurants in Disney World. However, I’m not a huge fan of all of the Disney Springs options. We went to Morimoto Asia after hearing raving reviews, only to be disappointed by the sushi. The Buri Bob was unique and delicious, but the rest of the dishes we tried just fell flat. If you want Asian food in Disney, go to the Japan Pavilion in Epcot and eat at either Tokyo Dining or Teppan Edo. I’m going to have to say Le Cellier Steakhouse in Epcot’s World Showcase is the most overrated WDW restaurant. 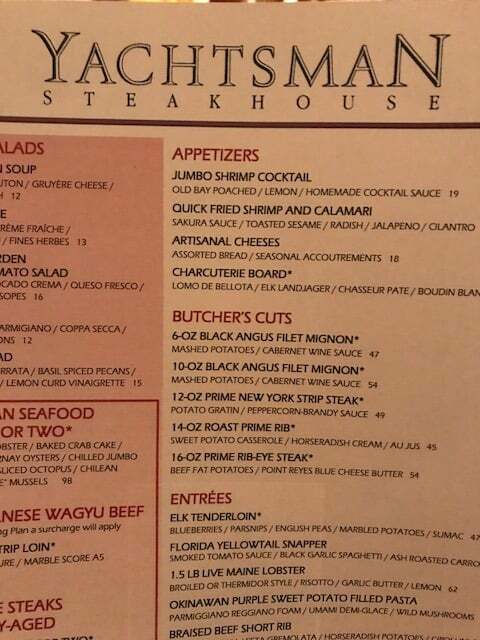 Pricey menu with just so-so food, crowded seating, average service and considered “Signature Dining”…it isn’t great. I recommend a couple of other, much better options that are both within walking distance of Epcot’s International Gateway (a.k.a. “The Backdoor”). Yachtsman Steakhouse at Disney’s Yacht Club has the same price range as Le Cellier for a much better overall experience. For a date night splurge, I highly recommend one of my absolute favorite restaurants in the World- Shula’s Steak House at the Dolphin Resort. It’s a bit fancier, the service is spectacular and the tender, delicious steaks are prepared perfectly to order. Chef Mickey’s in Disney’s Contemporary Resort is probably the most overrated restaurant in Walt Disney World. It’s a very basic buffet with the “Fab 5” characters, and the food isn’t special enough to make it worthwhile. For a better experience, and overall better food, we’d recommend The Garden Grill in Epcot. The food is fresh and the characters are fun. I think the most overrated dining is Chef Mickey’s. While it’s great to see all the Fab Five in one spot, it’s also chaotic and hard to enjoy. I would suggest Garden Grill at Epcot or the Ohana breakfast at Disney’s Polynesian Village Resort. You will still get to see Mickey and Pluto in both locations: Chip and Dale at Garden Grill and Lilo and Stitch at Ohana breakfast. The atmosphere is amazing, a much slower pace, and the food while similar is served family style instead of a buffet, so it’s fresher! There are few restaurants that aren’t necessarily worth scrambling to get a reservation. The first is a restaurant that is extremely hard to get into and often viewed as a “must-do.” That’s Be Our Guest. I do think it’s a gorgeous restaurant and the concept is incredible. The Beast’s Castle come to life? Yes, please! Where it fails is the overpriced, subpar food. The unfortunate thing is that I know Disney is capable of a delicious meal. One of the best meals I’ve ever had was served at Jiko in Animal Kingdom Lodge. If you’re looking for a restaurant with excellent atmosphere, then I suggest Ohana at Disney’s Polynesian Village Resort. You’ll get a view of the lagoon, charming Polynesian décor, and you can pop out to watch the Magic Kingdom fireworks from the resort’s beach afterward. And the food is really, really good. That one is definitely worth the hype. The second overrated restaurant is Crystal Palace at the Magic Kingdom. Now, I wouldn’t say this is “hyped” like Be Our Guest, but it is one I want to give fair warning about. I used to work in Entertainment at Disney World and was scheduled here a lot. The character meet n’ greets are often rushed because there are SO many tables in this restaurant. In doing so, the character experiences aren’t quite as intimate and once again, the food is not great. Step up your game, Magic Kingdom! 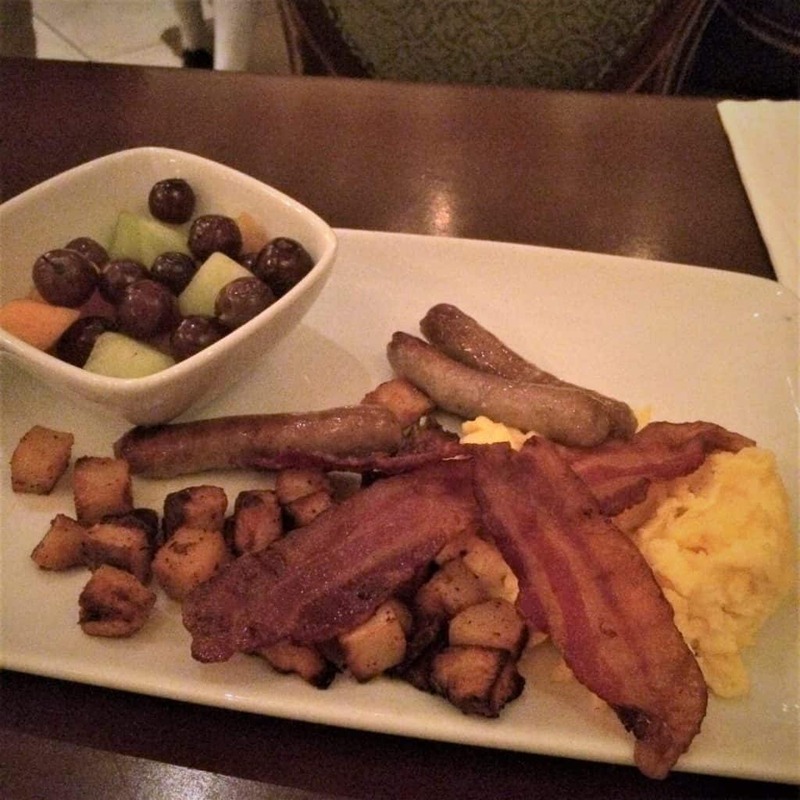 If you’re looking for a good character dining experience, then I suggest the “Bon Voyage Breakfast” at Trattoria al Forno or even 1900 Park Fare at the Grand Floridian. In recent years I have found Be Our Guest to be extremely overrated. Don’t get me wrong — I love the beautiful ballroom and amazing theming just as much as the next Disney lover, but the hoops you have to jump through to get a reservation just seem unnecessary to me! With all the hustle and bustle of a normal Disney day I try to keep things as painless as possible. If you’re still looking for that Be Our Guest experience with a little less hassle, I suggest going for a Breakfast or Lunch reservation instead of Dinner. If you’re on a Disney Dining Plan, breakfast and lunch at Be Our Guest both count as a Quick Service meal — and I’d take that option over Cosmic Rays any day! 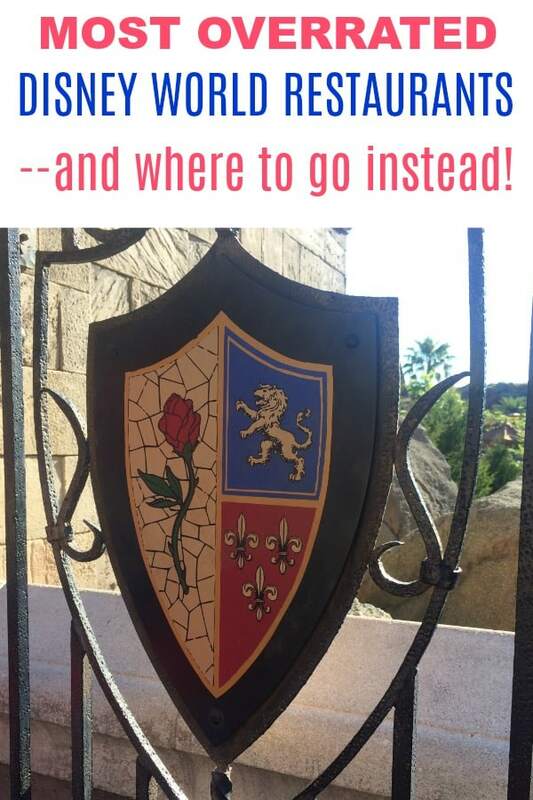 While initially securing a Be Our Guest reservation any time of the day can be tough (even 180 days out), I’ve found from previous trips that Lunch reservations often become available 1-2 days in advance due to cancellations. If you’re still looking to get a peek inside of the Beast’s beautiful castle, I would have to say breakfast or lunch is the way to go! 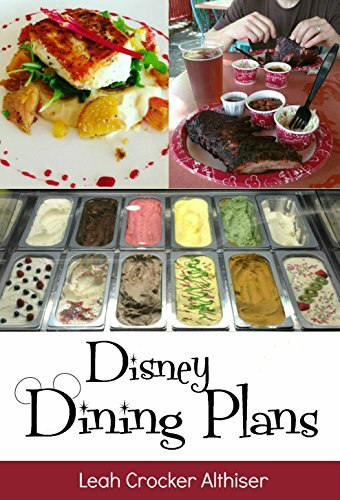 Searching for other great dining in Magic Kingdom? When it comes to restaurants with amazing service and great food, I will always suggest Liberty Tree Tavern in Liberty Square. Reservations are always available, the food is delicious, and for the service and quality they provide I think the price is very reasonable. I always try to make a reservation each trip if I can! For me, the most overrated restaurant at Walt Disney World is Chef Mickey’s. 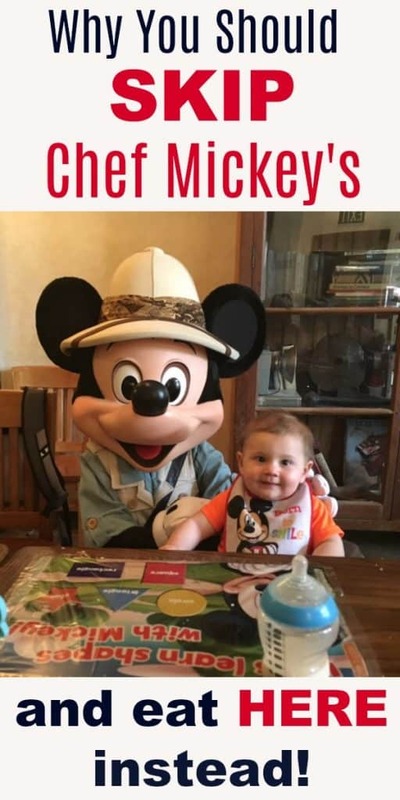 With three little boys, I have been to almost all character dining locations at Disney World, but I will definitely be skipping Chef Mickey’s next time. Located in the Contemporary Resort, Chef Mickey’s is a buffet-style restaurant. The food quality is very low and definitely not worth the price you pay to dine there. A lot of people say that they are there for the “experience” not the food, but there are much better options. The characters always seem to take much longer to visit your table than at other character dining locations. Instead of dining at Chef Mickey’s, try Tusker House at Disney’s Animal Kingdom! The food is amazing and the character interactions are the best! During one of my meals there, a little girl had a small plush Donald Duck. Donald and Daisy were so cute with her and pretended that the plush toy was a baby duck. So cute! Try to get a reservation for the last 15-30 minutes of breakfast and you will be there when the breakfast food is changed out for lunch. It’s the best of both worlds! A big thanks to all the awesome bloggers who contributed. Not only did I learn a lot myself, but now I don’t feel so bad that we couldn’t snag a reservation at Be Our Guest on our last trip! 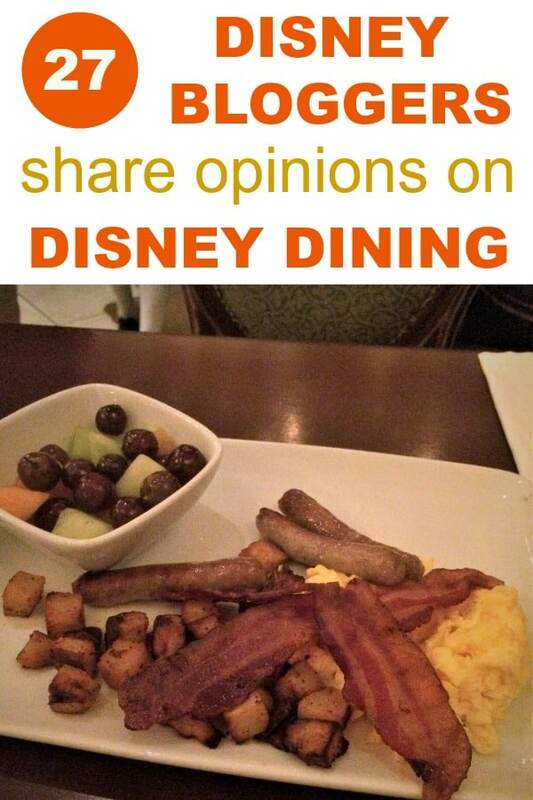 And I totally agree — skip Chef Mickey’s and go to the Tusker House character breakfast in Animal Kingdom instead. Or, if buffets aren’t your thing and you like the idea of a rotating restaurant (and love Chip and Dale, like I do), then consider The Garden Grill in Epcot. 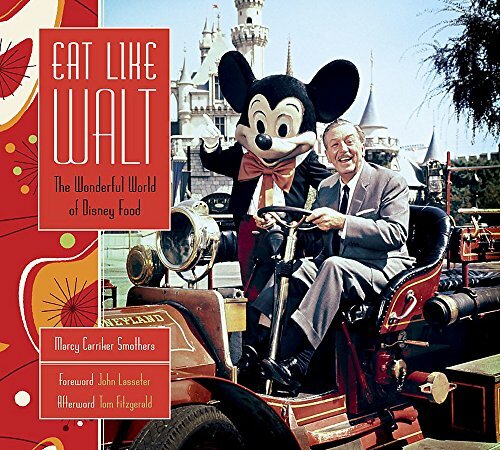 Want to learn more about Disney Dining? This round up is AWESOME! What a fun and great idea! Thanks for including us! I love all the differing viewpoints, and the fact that everyone shared the reasons behind their choice! Lots of new things for me to consider! Also love seeing some of my favourite Disney bloggers in one spot! Thanks Kristen. I learned a lot from this article — and frankly, I’d love to compile something like this again in the future! If any has any topic suggestions, please let me know! You can usually get a BOG reservation by just trying. It usually takes me 3-4 months to get ours, but I wouldn’t miss this restaurant for anything! 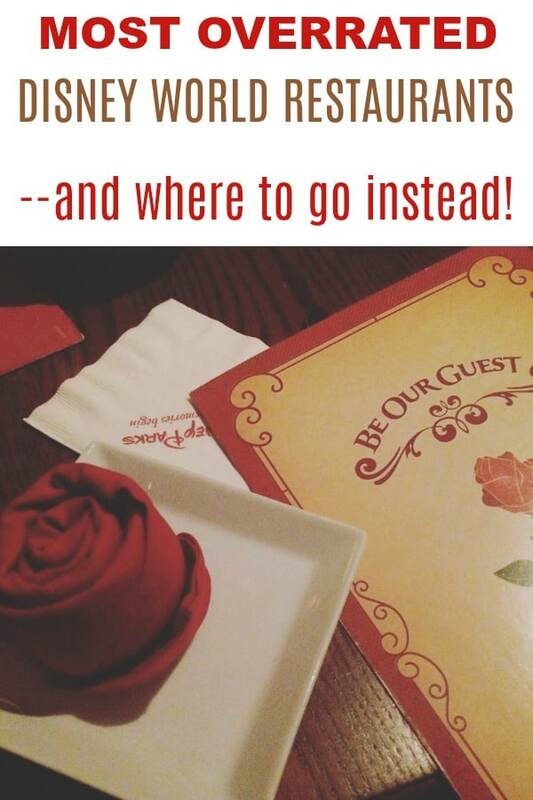 This one of the very few must-do restaurants on our Disney list! The scenery is awesome, no matter which section of the restaurant you’re seated in. When we went last year, we were lucky enough to get seated in the infamous West Wing. We felt like we’d been transported into the story. If you have kids, this is definitely a must-do. Go for lunch and it’s a quick service. 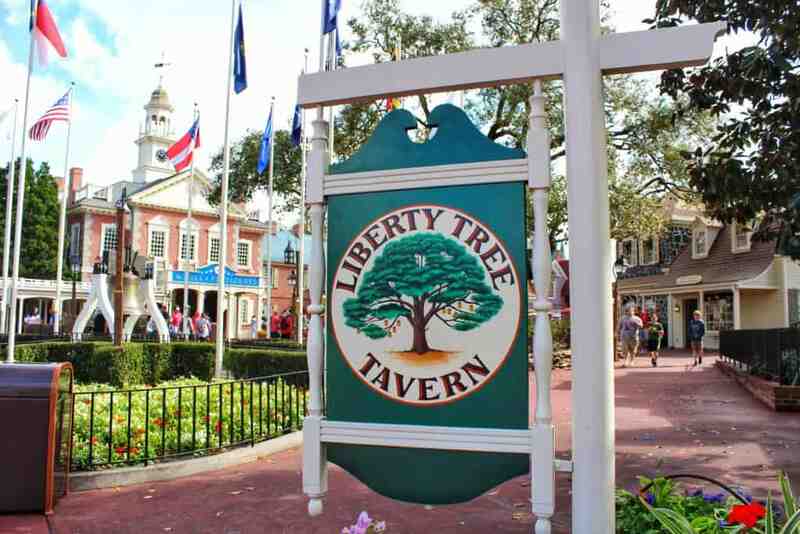 Liberty Tree Tavern and Trail’s End aren’t so they’ll take more time from your park time. I wouldn’t ever recommend people miss this, even if only to go there once for the experience! Thanks for putting this together – I appreciate the honest reviews presented. Wanting to get into the park extra early on an upcoming trip, I was lucky (or unlucky) enough to score an 8:00 breakfast reservation at Be Our Guest, figuring I’d rather waste my time and money there than the Crystal Palace. Sure wish there was a better option available. 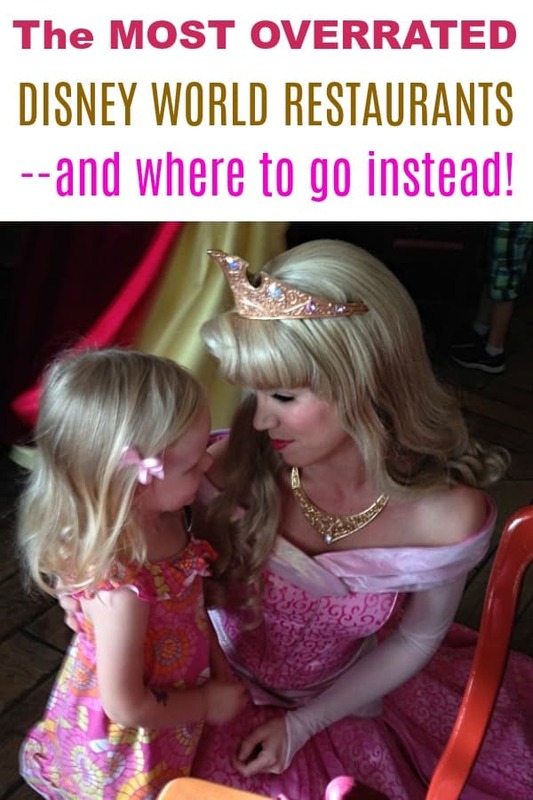 Oh, well, it’s Disney, it’s vacation, it’s time with my granddaughter – how bad can it be? The only review that I disagree with is the one for Le Celliar in the Canadian pavilion. We’ve been there several times and feel that it is worth every penny! We consider ourselves to be real foodies in our advanced years. I will say that I wouldn’t be willing to take a bunch of kids there since they tend to be finicky and it is very pricey! If you have little ones that will eat off of your plates than you may want to try it. Hey Heather, we’ve never been to Le Celliar, so thanks for weighing in! I can picture that one being a bad choice for families with little kids, for sure. I agree Le Cellier is definately over-hyped. Too pricey, not so great food and I didn’t enjoy practically sitting at the same table with the table next to us because they pack you in like sardines. Worst anniversary dinner ever! They’re way too many better options than this one. Thanks for sharing, Tammy! I know being packed in like that would drive us crazy. The Most Overrated Restaurants in Disney, in my humble opinion (I’ve been going to Disney since the day after it opened and I still have some unused E-tickets…lol) anyway back to the question I’d say the answers are Be our Guest, Cinderella’s Royal Table and Victoria and Alberts, all are nice and you’re paying for the ambiance and the Experience, but the food is Mediocre at best and I really love Disney and want to love these places but after all these years I’ve seen a lot come and go and I won’t be upset to see these Go!! Uhhh the blogger who mentioned Hoop De Doo forgot a major selling point- unlimited refills on alcohol for adults. At the end of the park day in an area where few guests drive, this is a huge value that helps the corny jokes go down a little easier. Hoop was by far our favorite meal of the trip. Being in the second row and getting picked for the show helped (hey we actually like to play along, it’s a show after all!). Plus if you come from MK and take the boat, it feels like a secluded private trip across the lake. This blogger could use a brush up on being a bit more inclusive in his/her review. There are a lot of factors which affect enjoyment of Hoop. Judy, I’ve never been to CRT, so I can’t speak to that. But interestingly enough, I’m still a little P.O.’d at our experience with one of the princesses at Akershus. “Jasmine” asked my daughter if she could “borrow her pen” to use at the next table — and she didn’t even do it in character! Not only was that tacky and unprofessional in itself — but she took off with the pen and never came back! My daughter actually started crying when she realized she no longer had a pen for her autograph album, and I had to go through the restaurant tracking “Jasmine” down and getting our daggum pen back. Sheesh! Of course, that was years ago and just one person, but it still rankles me when I think about it. I agree with Cinderella’s Royal Table. The food is WAY overpriced and you can find the princesses in many other places throughout the Disney resort area. We’ve eaten there for dinner and the food was blah. We left hungry which is sad with as much as you pay for the meal. But I have to say, I’m shocked to see so many rating Be Our Guest as overrated. We LOVE going there! It’s one of our few ‘must do’ restaurants when we go to Disney. While you may (or may not) be able to get a reservation at your 180-day mark, it’s certainly not the hardest reservation to get. I usually get BOG at the 3-month mark. But I JUST got 1900 Park Fare yesterday, and we’ll be at Disney in a month. I still haven’t been able to snag Ohana or Cape May Cafe. And if you pre-order before going (which you can do on your MyDisney account) before you go, there’s virtually no line to wait in. You check and are seated because you’ve already ordered and paid. Easy peasy! And this is a place that even the boys like. It’s not all princessy, especially if you can snag a table in the West Wing. I’m sorry, but this place has the best theming of all the restaurants with the thunder and lightning, changing portrait of the prince, the rose under the glass. Even the ceilings are painted. If you pass this place up because of all the ‘overrated’ rankings above, you will truly be missing out on an experience! I have to wonder about some of these sources. One claimed that Nine Dragons was one of the overrated restaurants. I got a good laugh at that one. Nine Dragons is anything BUT overrated! It’s the one restaurant that usually always gets a bad review on anyone’s blog. And it’s one where you can always get a reservation. And it may just be my opinion, but I don’t think that T-Rex is overrated, either. You don’t hear a lot about that restaurant so how is it overrated? But I do question the claim that it’s over-priced. Hello! It’s Disney! ALL the food is over-priced! 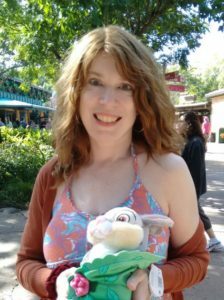 But in comparison to the other Disney restaurants, the prices are ‘normal.’ But then the blogger went on to suggest Sci-Fi Dinner Theater instead. The prices there are the same as at T-Rex, so not sure how she figures T-Rex is too expensive. But the food (in our opinion) at Sci-Fi is not nearly as good. We ate at Sci-Fi once and never again. The theming was great, but it had bad service and the food wasn’t that great. Same thing with Via Napoli. Can’t say we’ve actually eaten there because we left before we even got to order.I think Via Napoli is one of the most overrated restaurants at Disney! The service was THE worst service we’ve ever experienced…anywhere. And it was SO loud! My 9 year old was covering her ears and fussing because it was so loud it was hurting her ears. I wanted to ask for a different table, preferably outside, but we waited forever for a server to come and even take a drink order, so we just left. That’s another ‘never again’ restaurant. Have to agree that Be Our Guest is highly overrated. Would not waste the time or money going again.